I’ve had the honor of speaking with a number of Navy SEALs and Army Rangers: Navy SEAL Ray Care about perseverance, developing the right mindset, and how the only limits we really have are self-imposed. Army Ranger Tyler Grey about adaptability, attitude, mental toughness, and how in life there is no finish line. Navy SEAL Sean Haggerty about how to push through doubt — and why that ability is so important in business and in life. Now I’ve had the honor of meeting Herbert Thompson, a Special Forces (Green Beret) Sergeant and team leader. Herb founded SF2BIZ, a non-profit to empower transitioning Special Forces veterans thrive in business, and plans to get an MBA as he transitions from the military to the business world. Herb was kind enough to let me share a story he told me — as well as some of the leadership lessons (in bold italics) he learned as a result. I began to stack the two Kevlar helmets, from the two Afghan special forces operators in the front seats, next to me on a radio rack. Incoming and outgoing machine guns made a hell of a noise as they came to life. We were in an ambush.This is what I had expected. Now let’s back up and talk about how I got in that predicament. 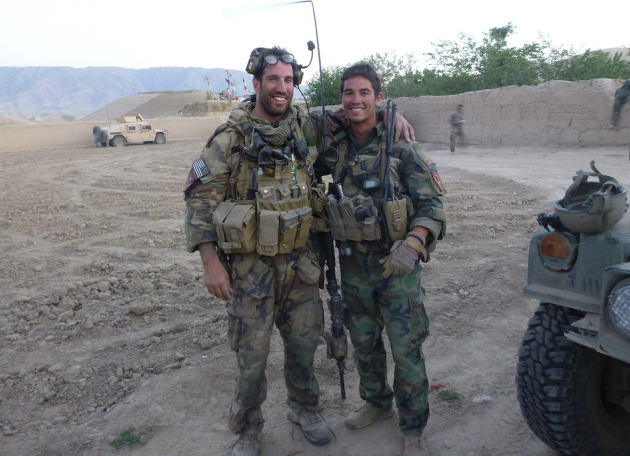 On day five of a mission “leading” 205 Afghans (conventional and Special Operations Forces), we were in a small village with no name, surrounded by mountains and hundreds of kilometers from any support but a nearby Navy SEAL Platoon. My good buddy Joe, our junior weapons sergeant, and a couple of infantry soldiers and I were the American “face” of this operation. I was told they were coming but not any time soon, and we couldn’t wait since darkness was approaching. 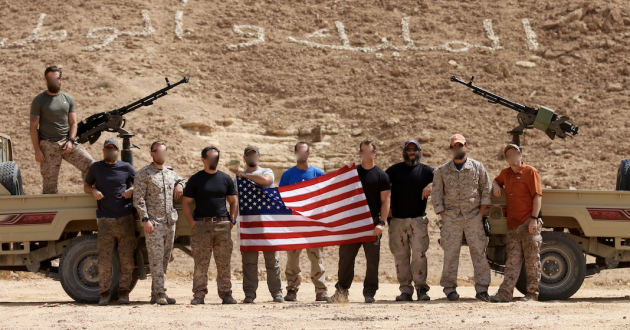 Plus, I didn’t trust all of our Afghan counterparts in the daytime, let alone during the night, to do the right thing. But then we had to act. We had to move. I pulled out a map and drew up a plan in the sand: We would drive out using only path possible with our vehicles, through the area they could ambush us at, while the SEAL platoon would maneuver out the back way and come up with a support by fire position to cover our withdrawal when the shooting started. There comes a time when you have done enough research and analysis, you just have to act. It doesn’t matter if you are in a combat situation in a faraway land, in a boardroom or in a search for a new location to set up a new business. You can reach paralysis by analysis, leaders lead and feeling that time to act is essential. Once you reach that point, you will know it, act! Execute your plan and make it happen off of the best available plan and data. A leader can’t hide in a safe cocoon while the action goes on outside. You have to get in the middle of what is going on and figure out the real situation. Walk the factory floor and see what the problem is with your own eyes. Sit in on a meeting and see where the real issues are. Go out and talk to your customers: Get real, unfiltered information. Job titles and offices don’t define a leader. A leader gets in the middle of the situation and gains a full understanding of what is happening, what the problems are, how solutions can be made… and how the plan can be a success. We approached a 90-degree turn to the right in the road and I knew it was the most likely place to be ambushed: We had to slow down to take the turn, plus it was the closest point to the insurgent position. I look out my window and saw an old Afghan man walking down the road near some buildings like he didn’t have a care in the world. The sky was clear and blue. The sun was shining. It was a beautiful day. Whether it’s your son’s baseball picture sitting on your desk that brings you luck, your daughter’s dance recital picture… whatever it is, if it helps you believe, great. It doesn’t have to be rational. All that matters is that you believe. Your power of belief, and being able to focus on the business at hand — that’s what matters. As we took fire I thought, “Where are the SEALS and their supporting fire?” I didn’t hear any gunfire coming from the direction that I expected. Nor did I see them. A quick call on the radio to their leader, Steve, got me the answer. They had popped up on a ridge ready to lay down fire… only to see that they were too far away and needed to move to the next closer ridge. It would be a couple minutes before they would be in a position to provide supporting fire. Murphy’s Law applies even to the greatest plans. Things will always go wrong. Expect it. Anticipate it. And don’t worry about it. If you can control a problem and fix it, do it. If you can’t, don’t waste the brain power on something out of your control. There’s no need to stress about a sales problem or decision made a partner that you can’t control. Focus on what you can affect — and use your energies on what is important and in front of you. I continued to communicate forward to Joe and ensure all Americans were okay and that we kept moving. Of course, in the tradition that I now had experienced a few times, the lead vehicle, an Afghan National Army vehicle outfitted with a mine roller stopped. Being further back in the convoy of about 20 vehicles, I was now sitting right in the middle of the kill zone at the turn in the road. This is when I smiled and had a “great idea.” I had been carrying a Light Anti-Tank Weapon (LAW) strapped to my back for about 5 months. Now I was finally going to get to fire it at the enemy. I dismounted the vehicle, leaving my long gun behind, and moved to a position to fire the LAW at the insurgents attacking us. I maneuvered around a building about 50 meters from my vehicle. I couldn’t see exactly where the enemy was, so I moved closer. I started taking incoming machine gun rounds close to my position. The enemy saw that I had become an easy target and started to focus on me with their machine guns. As I rounded a building at a sprint eager to get back to the “safety” of my vehicle, I came to a sudden stop. Maybe you have a great idea you’ve been eager to implement. But that doesn’t mean now is the right time to force that option. That’s what I did. I was so eager to fire a rocket I had been carrying for months… I was going to shoot it no matter what. Don’t try to pound a square peg into a round hole. Your great idea just may not fit at this time. The new sales technique you have been dying to try, or a great process that you heard about and want to implement… take a second to pause and consider whether you are forcing the wrong peg into the wrong hole. As I stood for a second with only a pistol on my hip and incoming rounds coming in, I looked up to see the convoy moving slowly and my truck a couple hundred meters ahead. I ran — no, sprinted, faster than any Olympian in the 100-meter dash — to catch up with my truck. 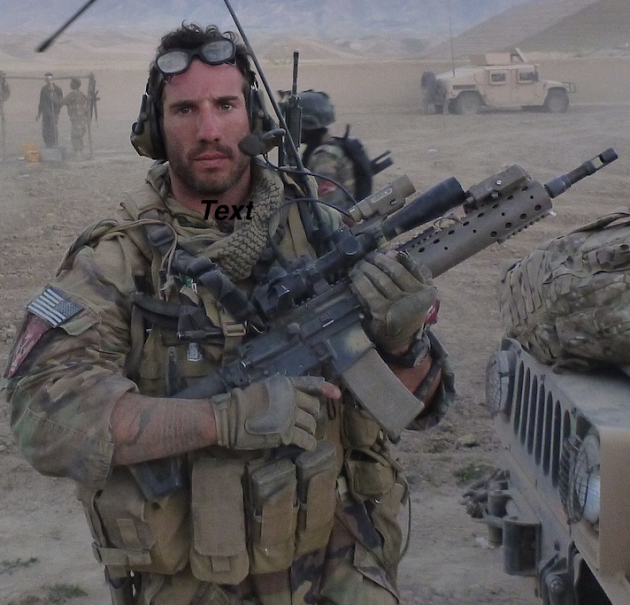 As I caught up to the truck, Oscar, one of the Afghan Special Forces operators, who was laying down an awesome amount of fire at the enemy positions, smiled and yelled a huge roar of approval at my return. Then the convoy stopped. Five seconds. Ten seconds. Thirty 30 seconds. We weren’t moving. I used the radio to ask Joe what was happening. He didn’t know. I jumped out of the truck with my long gun in hand and moved quickly towards the front of the convoy, passing beside all of these vehicles with a bunch of Afghans looking bored and not firing at the enemy. I motioned for them to shoot at the enemy positions. Some did, some didn’t. As a leader, you have to see what the problem is firsthand. Don’t sit in your office and hear about an issue at the loading dock. Walk down and see it. Talk to the shipping people to get the real information. Or if one of your partners in a deal is having issues, go talk with them. See the problems for yourself. You will never learn everything you need to know by sitting in a comfy, ergonomically-enhanced office chair. I thought Steve, the SEAL leader, called them in. Then I thought for a few seconds and knew that couldn’t be the case. We had only been under fire for about 20 minutes and they were based a long flight away. Information flow is critical — and should flow up and down, left to right… 360 degrees. Don’t withhold information from your people, or enable a system that hampers the flow of information. People can be incredibly innovative and do marvelous things with knowledge. But without that knowledge, plans get created that can’t reach their full potential. Encourage information flow. Set the example. Make it a part of your culture. The Apaches were there, but why weren’t they firing on the enemy? I checked in on the radio with Steve, who was in a much better position to control the aircraft. Steve was pleading with them to fire on the enemy positions, and they were saying they couldn’t. The Apache pilots were watching the enemy drop their weapons, which meant they were now not armed — even though those were the same weapons that were hot from firing on us for the last 20-odd minutes. They were still enemy combatants. All they had to do was pick up their guns and start shooting again. That took about two minutes and then… the insurgents walked into a village. Which means they could not be fired upon for fear of causing civilian casualties. Bureaucracy is a killer. It kills the spirit, kills innovation, kills growth… hunt down your needless in-house bureaucracy and get rid of it. Put rules in place that help people do their jobs and be innovative, not get in their way. What’s the best way to find those barriers? Ask. Ask your employees for rules or office norms that get in their way. And ask if they have ideas that will improve productivity. You’ll be surprised with the great things your employees will come up with. But you have to ask — and listen. Thankfully, miraculously, we didn’t have anyone injured. There were a few scratches and bruises, but nothing to worry about — an n average day in our office. An AAR is a crucial learning moment everyone involved, one that can improve your operations with the people who actually conduct operations. Don’t make it too formal. Just guided along the path. Your people need to be able to voice their professional opinions and observations free from potential backlash and repercussions. Let everyone provide their input and give ideas for future operations. It just may be the new guy or gal at the office that comes up with the best idea for a way ahead, or who identifies a significant issue others didn’t see. Most importantly, have a thick skin. Don’t take it personally. Listen and learn — and help your team learn. After we pulled into the compound and established security, we walked towards each other and with smiles as big as you can imagine, we hugged. It was a pure joy that we had survived and made it through the mission. Herb Thompson (left) and Joe Chester. It doesn’t matter whether it’s a combat operation, a long hard-fought deal, or an arduous acquisition process — take time to enjoy the moment and your accomplishment with those that made it possible. Those are genuinely the joyous moments that you will appreciate years later when you look back. The people that you worked with. and the joy that you shared in achieving success…. those will be your lasting — and best — memories. Will Deleting Social Media Make You More Productive?